The Board of Directors met September 22 for a regular business Board meeting 6:00 p.m. in the Ballroom. The following are notes for this meeting. Present were Gordon Lee, Leo Buries, Delores Brown-Knoeppel, BettiSue Perkins, Chuck Warren, Marlene Scartozzi, Jean Pritchard (teleconference) and General Manager Layne Varney. The meeting was called to order and past meeting minutes approved. D. Brown Knoeppel presented the Treasurer’s report. L. Varney presented the Manager’s report. SunBird is excited to announce its new monthly e-mail news and special notice program. Collection status report: During the month of August $12,253.58 was collected from past due accounts; six home sales in the month of August for a total of 85 for year which is more than projected. New contribution to capital improvement fee of $1,500 became effective July 1; $945 to Capital Improvement Fund, $300 to Reserve Fund and $255 to Special Projects Fund. Food and Beverage August sales were $20,319.72 with an expense of $26,420.50, for a subsidy of $6,100.78 for the month. Year-to date sales as of August 31 are $313,469.87 with and expense of $336,551.70. The subsidy for the first eight months of the year is $23,381.83. Closed for three days in August for bar top refinishing/drain pipe replacement and one week in September due to gas leak. Strong windy monsoon storm caused damage to the clubhouse by tearing off about a 20 foot x 26 foot section of the flat clubhouse roof and blowing off some roof tiles. Heavy rains from the early hours of the morning of September 8 dropping about five and one half inches of rain within six hours caused street flooding and some of the golf course water retentions to be completely filled to capacity. A gas smell was reported outside the west entrance to the clubhouse Wednesday, September 10. The smell was verified and the clubhouse evacuated and closed. Southwest Gas was contacted and shut off the gas line and removed the gas meter. A new gas line was installed on the exterior of the building to avoid the chance of future deterioration due to soil and for better access. Last winter, the clubhouse had several drain line problems. The cast iron pipes were replaced with a new poly line and more drain traps installed for better access if future problems occur. The Ballroom wood floor and other rooms of the clubhouse with vinyl flooring were stripped sealed and re-waxed. Carpets in the clubhouse are scheduled to be cleaned prior to the end of the month. All rooms of the clubhouse have been touched up with paint. The exterior of the building is to be power washed and all windows cleaned also. The pool deck will be stripped cleaned and resealed within next few weeks. Additional surveillance cameras have been installed in areas of the clubhouse to monitor other areas of vulnerability in the clubhouse. Unit 1A scheduled road maintenance seal coat was completed. The last scheduled day of road work was postponed due the threat of rain and rescheduled two days later. Due to the summer monsoon storms with heavy winds and rain, several common area trees blew over or were seriously damaged and had to be removed. Other trees were found to be a potential hazard were also removed. About 60 trees common were either blown over or were removed. Common area landscape plant, bush trimming and weeding is behind schedule due to the number time spent on storm clean up. With the recent rains and sunny weather an explosion of weed growth has hit all around. Over the summer two bicycles were taken that were left outside at homes in SunBird one evening. One was found parked in the driveway at another home in SunBird, the other is still missing. A golf cart was reported missing but later found within SunBird at a different location. A vehicle tried to enter into SunBird unauthorized through the exit gate at Hunt Highway and all four tires were flattened immediately by the tire spikes. ACC continuing the send notices out regarding weeds due to the amount of recent rains. PRLRPC discussed safety matters at SunBird. RCC reported past chair Don Fleming passed away. Going Green Committee meets the second Thursday at 2:00 p.m. in the Ballroom. The Finance Committee met to review the 2015 draft budget. Food and Beverage committee reported visions statement and goals. L. Varney reported on new changes in the Horizon Room. Hook of the Project Review and Long Range Planning Committee provided a presentation on research and details of the proposed swimming pool reconfiguration ideas discussed at the June meeting. After receiving bids and visiting many other community swim pools and meeting with contractors, it was recommended that Presidential Pool Builder and Palladiol General Contractor be selected as the contractors to demolish and install the reconfigured pool for a total cost of approximately $496,176. The PRLRPC submitted several options of funding the project with the majority of it coming from the existing Capital Improvement Fund. The SunBird attorney reviewed the options previously submitted for compliance with existing CC&R’s and policy. With this information, the Board approved a special assessment for assistance in funding this project of $110 due in two installments, $55 due November 1, 2014 and $55 due May 1, 2015. 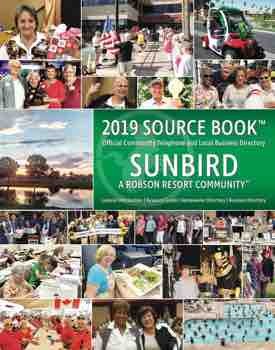 Robson Publishing, who publishes the SunBird News, stated that due to a decrease in advertisers and an increase in postage, it will not be mailing the monthly SunBird News during the summer months internationally. The monthly SunBird News is posted on the Internet monthly free of charge with a link from the SunBirdhoa.com website. Other options would be to allow those who wish to continue this mailing to pay for the cost of mailing this for $3 monthly; or the HOA could subsidize the cost of international mailing for $2,200 annually. It was decided to postpone a decision at this time to get input from more of the international owners when they return. L. Varney presented the draft 2015 operating budget. The Finance Committee had reviewed it previously. It proposed that the annual assessment increase in 2015 from $820 annually to $850, $10 of which will be added to the funding of the reserve account. The Horizon Room is budgeted with a subsidy with the idea of building business over the next couple of years. Comments and questions were answered. The 2015 budget will be placed on the agenda October 27 for final review and approval. The Elections Committee requested approval of additional members Gil and Shirley Knudtson and Don and Mary McMullen. The Board approved members as requested. The past Planning and Workshop Board meeting in September had raised several questions and comments for clarification of the proposed CC&R amendments. A committee of the Board was appointed of Gordon Lee, Marlene Scartozzi, Dee Brown-Knoeppel and Layne Varney to take the input provided and attempt to create a ballot with the questions as brief, clear and balanced as possible. A report will be made at the next Board meeting. L. Varney made a report of comment sheets received. Both homeowners and the Board of Directors had an opportunity to make any comments. The next regular Board business meeting is scheduled for Monday, November 24 at 6:00 p.m. in the Ballroom; a Planning Workshop meeting is scheduled for Monday, November 10 at 1:00 p.m. in the Ballroom.